​​​​Sit back and enjoy the sights, sounds and tropical flavors of Miami, as you discover the Magic City in the comfort of a climate controlled tour bus. The Miami City & Boat Tour is the most affordable and time saving way to experience Miami. On this tour you will get to visit South Beach and the Art Deco district, world famous Little Havana and Calle Ocho, where you get to visit the Cuban Tobacco factories and drink Cuban Coffee. 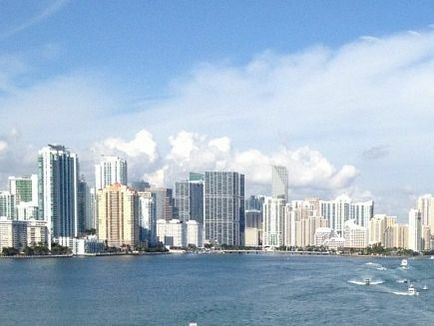 The tour also visits the charming city of Coconut Grove, Brickell and Downtown Miami. Stops are included on the tour for you to explore the city with a your guide. Climb aboard an Everglades Airboat Tour that will take you deep into the heart of the River of Grass in the Everglades. Discover some of Florida’s most exotic wildlife. With miles of wetlands before you, you'll journey deep into the Everglades, zipping across the "River of Grass" at top speeds, with an expert tour guide leading the way.Lock eyes with an American alligator and snap amazing pictures as you come face-to-face with some of the Everglades most unusual and exciting animals. Our Everglades airboat tours are 60-minutes long, offering plenty of time to meet some of the area's most exotic and unforgettable wildlife in their natural habitat.